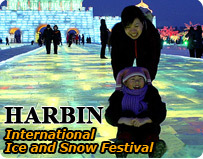 Harbin International Ice and Snow Festival is a world famous winter festival since 1985. 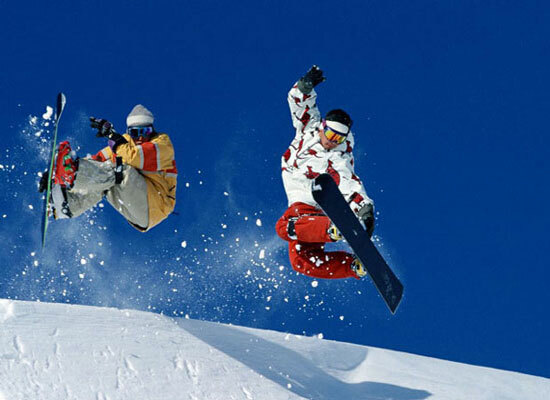 It is the first international festival which is focus on ice and snow activities in China’s history. It starts on December 1, 2010 and lasts to February 28, 2011. The ceremony will be officially held in January 5, 2011. 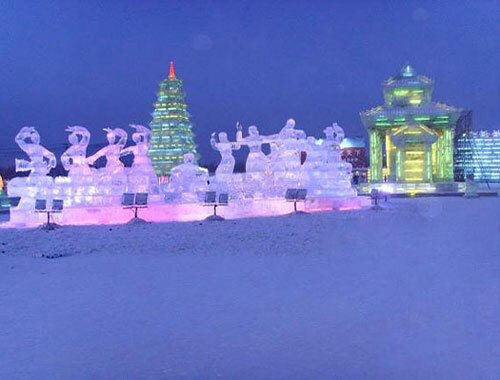 As one of the largest ice and snow festivals in the world, Harbin International Ice and Snow Festival attract tens of thousands of tourists every year. One of the most popular and unique winter activities is the wedding ceremony on ice. 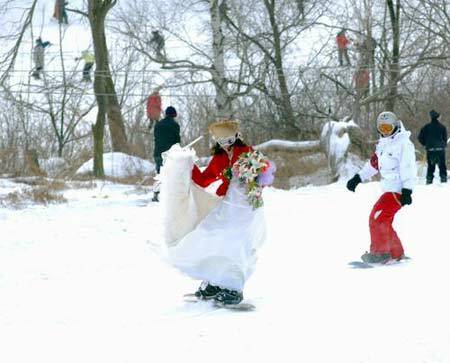 Here are the skiing enthusiasts making a wedding ceremony on ice. Walking around, thousands of ice lanterns,sculptures,ice plants and animals,ice waterfalls,ice restaurents,ice house…will catch your eyes. The ice and snow art objects turn the city into a dreamlike world, a world of pure whiteness and gleaming crystal. We realized alot through considering the write-up. I have already been taking a look at your blog a lot over the past couple of days and contains gained a spot during my bookmarks. interesting insights you are sharing. I love the way you are sharing it. Is there any way I could sign up for more? This is really wholesome web page. I prefer this content than it. There are many methods of improvement. At first, you must showy the next with increased information. Second, you could take into account requesting as well as task meeting more professionals. Its great internet site and it also utes worth added consciousness. Foster outstanding work. I’ll be content material. I’m all over this with this particular write-up, I truly feel this web site wants a lot more thought. I’ll it’s quite likely end up being once again to understand a lot more, thank you for that information. Hey this is the great article . Can I use some of it on my blog ? I’d obviously link to your article so people could view the entire article when they desired to. Thanks in either case. I am looking forward to reading more of your posts in the future. Thank you for this very useful information. I found it very interesting. Will definately keep an eye on these pages. I like this Harbin International Ice and Snow Festival 2011 | Travel Blog, China Fact Tours , enjoyed this one appreciate it for posting keep update Harbin International Ice and Snow Festival 2011 | Travel Blog, China Fact Tours. Thank you for any really clear and valuable post. I’m certainly a violator of numerous of these guidelines. I discovered numerous fascinating products in your weblog particularly it’s discussion. From the tons of feedback on your own posts, I assume I’m not really alone possessing all of the enjoyment the following! maintain the nice function. Im searching for the net searching for just how to begin this blog thing and your website is nearly certainly really impressive. I like the way you presented your post above. You are a blog genius! I totally adore this article. I get a real sense of success everytime I read it. Incredible article, many thanks, I will save you now! Your Article about Harbin International Ice and Snow Festival 2011 | Travel Blog, China Fact Tours Rattling excellent visual appeal on this site, I’d rate it 10 10. I read your site frequently and that i just thought I’d say keep up the terrific work! Very interesting article. Obtained some new information. Thank you for your time. I like Your Article about Harbin International Ice and Snow Festival 2011 | China Travel Blog, China Fact Tours, China Travel Forum Perfect just what I was searching for! . I agree with your Harbin International Ice and Snow Festival 2011 | China Travel Blog, China Fact Tours, China Travel Forum, great post.